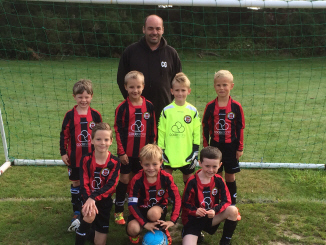 Codestone is pleased to announce that it is sponsoring Boscombe Albion FC Under 8s boys team, which plays in the Bournemouth Youth Football League (BYFL), for the 2014/15 season. The sponsorship will provide the team with a brand new football kit as well as new training jackets to protect them from the elements prior to and after matches. Boscombe Albion Football Club was established in 1972 and was a founder member of the Bournemouth Youth Football League. The club took its red and black striped kit from Bournemouth & Boscombe Athletic FC, which in the same year changed its name to AFC Bournemouth and adopted the kit of AC Milan. The club achieved Charter Standard in 2003, has just been awarded Community Status and continues to offer football to boys aged 6 to 18, and girls from 8 to adult.